When an adventurous thought of making a trip to Spiti in winters comes to mind, it brings along lots of questions and apprehensions too with it. The thoughts like, will the roads will be open, will the stay options be available, how will be the temperature during that time, will I get food or water, etc.. 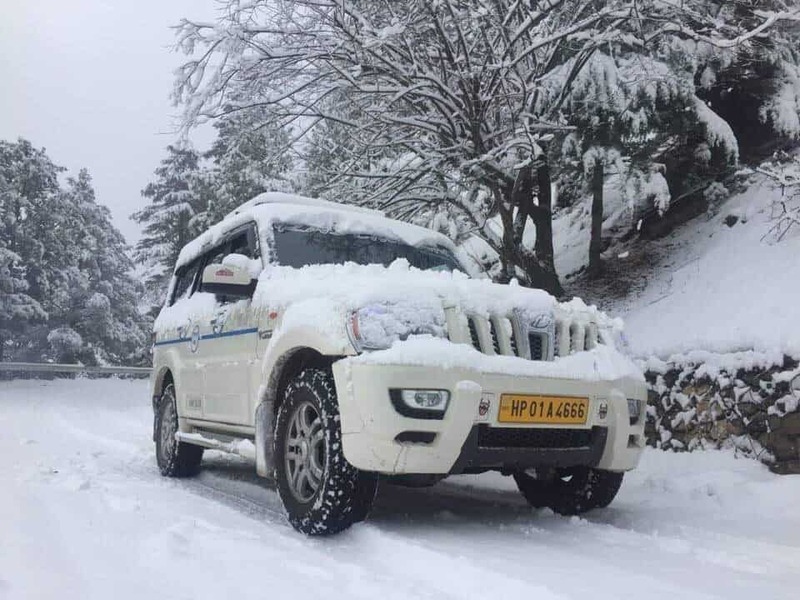 It is very natural that these questions are coming to your mind and they should, in order to make a successful trip to one of the remotest corners of trans-Himalayas in winters. I took care of many of these important questions in my last article How to plan a trip to Spiti Valley in Winters but left out what shall be your itinerary for a trip to Spiti in winters. Download your FREE high-resolution version pdf copy of this Spiti in Winters day by day plan infographic guide. If, you liked it and found it helpful, please feel free to share it with your family and friends to help them too. Add On Days in Spiti Valley in Winter months?? When you are planning such an adventure trip in a remote corner of Himachal Pradesh, you must be well prepared. 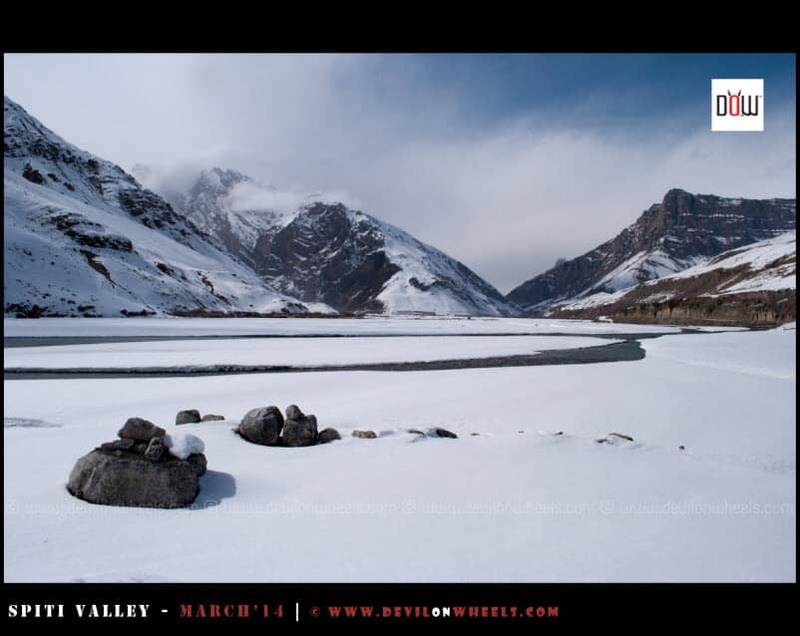 In this article today, I will be suggesting the most common itinerary for a trip to Spiti Valley in winters. In the next and last article of this series on planning a trip to Spiti in winters, I will share my thoughts in detail about staying and food options available in Spiti Valley in winters. There are lots of variables when you are planning such a trip and most major one is the itinerary. Your itinerary must be flexible and hence, you know about places where to stop overnight in case of any changes from the original plan. You must also know which places you should avoid staying overnight due to vulnerabilities such as freezing cold, aacute mountain sickness or being stuck from both sides of roadblocks. This nine-day itinerary flows to Spiti Valley from Shimla – Kinnaur side and you end up traversing the same route on the return because the route from Manali – Kunzum Pass – Kaza remains closed in winters. You should be aware that route from Manali to Kaza, Spiti Valley only remains open in the summer months from mid-June to mid-October. Beyond this time period, the road is usually closed or it is not suggested to travel on this route because of the reason of getting stuck in the middle of no man’s land for about six months. 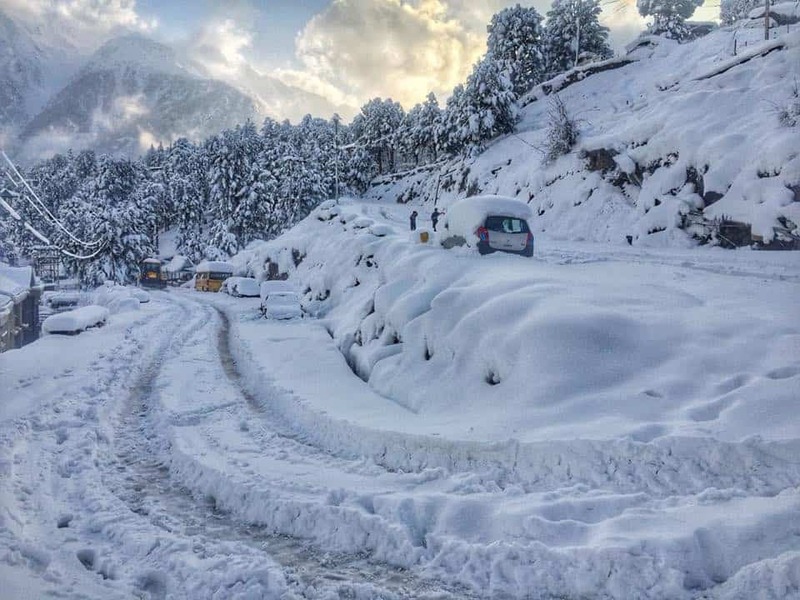 The route from Shimla – Kinnaur Valley to Spiti Valley remains open almost all throughout the year including winters barring few days of heavy snowfall that closes NH-05 or road between Kaza – Tabo or Tabo – Puh at times. 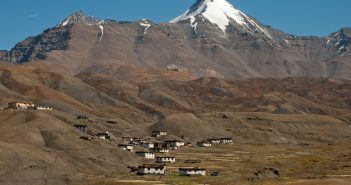 This article covers places accessible in Spiti Valley in winters including Tabo, Kaza, Ki, Kibber and other parts of Hindusta Tibet Highway. Below is the most common itinerary for Spiti in winters, spanning over 9-10 days and making the most use of each of the days. This will be your last place where the mobile network will be coming, so call up your near & dear one. Also, check the weather updates here before venturing. After Sumdo police registration, the detour towards Geyu Village to visit the 500-Year-old Mummy will be closed. So, keep moving towards Tabo. Enjoy the day at Sangla Valley, in case the road is open. I am not suggesting to stay at Sangla Valley overnight. Firstly, it will increase the previous day’s travel time and secondly, in case the road to Sangla Valley gets closed, you might get stranded there for a few days. The road to Chitkul will be closed. This time instead of staying at Narkanda, stay at Chail by taking the different inner beautiful route to Chail from Kufri, in case open. That route sometimes gets closed due to snow. You can trek in the snow to Langza, Hikkim or Komic villages for a few days. Do not forget to take a local guide or local villager with you if you are undertaking such a snow trek. Carry enough food + water bottle and a sleeping bag to sleep in home stays up in these villages. You can go for spotting Snow Leopard in these villages as well. Spend a day with Sakya Abode boys or Tsering Bhai who goes over to ski on the snow slopes around Kaza. An exhilarating experience I must say. Spend a day to working out winter routines in some homestay to actually experience the hardships of daily lives in Spiti in winters. Spend a few days in Kibber village and try your luck to spot Snow Leopards, who knows it is your lucky day to spot this amazingly elusive cat :). When you travel to Spiti from Kinnaur side, you may not worry much about petrol availability or extra petrol to carry on your road trip. There are plenty of petrol pumps on the way from Delhi to Kinnaur Valley. I usually prefer to top up at Narknada and then either at the last petrol pump of Rampur or I prefer the petrol pump at Tapri to top up. After topping up at Tapri, the only petrol pump left is Kaza if you do not have any plans to go to Reckong Peo and planning to stay at Sangla Valley and Chitkul instead. So, do not miss to fill your vehicle petrol tank at either Tapri petrol pump or petrol pump at Reckong Peo. Finally, there is only one petrol pump at Kaza and hence, you must fill your tank after reaching Kaza and doing the local sightseeing. Make sure you top up again before starting the trip back to Kinnaur – Shimla from Kaza. This way you do not need to carry extra petrol on your Spiti Valley trip. 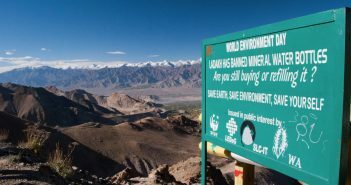 Foreign Nationals visiting the protected areas of Spiti Valley and Kinnaur Valley are required to get the inner line permits or ILP. Domestic (Indian) tourist do not require any permits. If you are Indian, then just carry a valid photo ID proof of your nationality to be on safe side. Now we have talked about what to expect and how to plan the trip to Spiti in winters, in the last article of the series I will talk about available food and staying options in winters in Spiti Valley. Feel free to share this article with any friends or family whom you know are making a such a trip to Spiti Valley in winters. I’m planning a trip up to Kaza with my family ( wife, d-12 yrs, s-9 yrs) around Xmas. Do you it is advisable? Hemang, I will not recommend a family trip to Spiti Valley in winters. Are you used to such harsh conditions? Thanks Dheeraj. In that case would you advise a Kinnaur family trip around Xmas? what itinerary should I take – ex delhi? 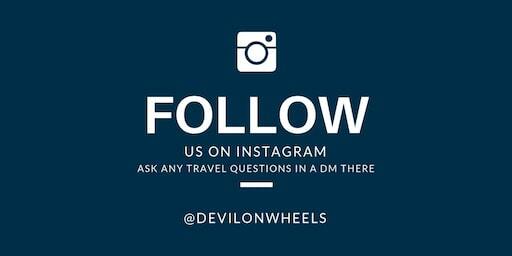 My query is for sikkim and bhutan road trip from delhi to delhi. I want to take this trip in this may 2017.. having 14 days..
i m thinking of spiti valley plan in mid or late april. what will be the road condition?? and upto how far we can reach? Arijit, it will be cold and I am hoping that you have read the above article. You will have to follow a similar plan as mentioned in the article above. You can reach up to Kaza and then few KMs ahead till where the road is open. We are planning to go spiti around 13th dec. We have swift diesel(one year old). Can we go in this or we should drop the plan. we have the experience driver who can dive on any terrain. I plan to visit Spiti Valley in Jan, 2017 and I wonder how about the transportation from Shimla to Kaza? I’m solo traveler, would like to know if it’s possible to take the public transportation, and including all the transportation and accommodation during these 9 days, how much approximately will be the budget? Really thanks for your big help! 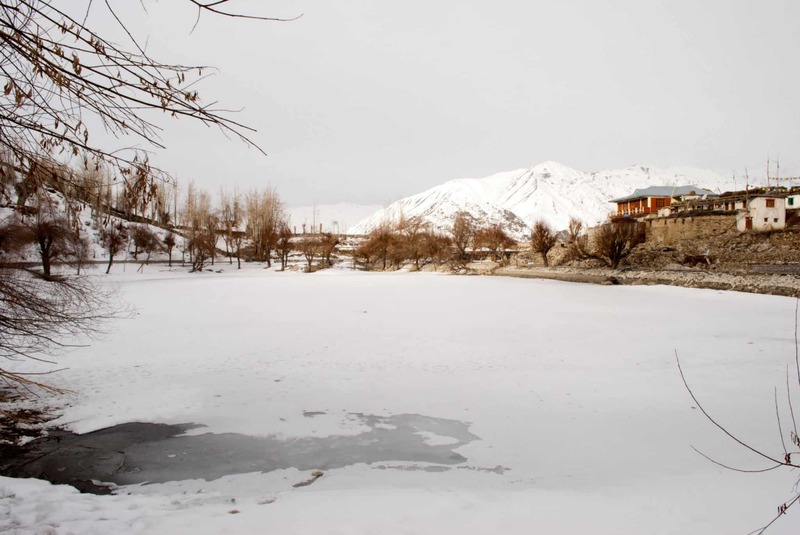 I hope you have read: How to plan a trip to Spiti Valley in Winters and of course you have read the above itinerary too. Regarding public transport, the daily bus from Shimla – Reckong Peo runs and from Reckong Peo a daily bus at 7 AM also runs to Kaza. If the road is closed due to snow, the bus will run up to road closed point and from there people walk if it is walkable distance to the other side where bus from Kaza to Reckong peo usually waits. Keep in mind if you are planning just for 9 days and have something important at the end, you may be stuck there. So, keep that contiengencies in mind. Sir, I wish to visit himachal pradesh with my 10years old daughter& wife in mid of March 2017 for six days Simla to Simla including Manali by a taxi .PLease suggest other must visit places and itinerary. Regards. Sudip, are you open to visit Kinnaur Valley? If yes, then it is better that you drop Manali from the plan and enjoy only Kinnaur Valley in 6 days. I’m relying on public transport for the trip .. do you think it can be done in 5 days ? And what are the must see places ? Ideally I cant extend it to 9 days .. it’s a long journey for me since im coming from Karnataka. No Rahul, 5 days Spiti trip is not possible form Kinnaur side. Possible but not at all recommended unless you just want to sleep and eat on bus itself. After some adjustments… We have a return flight from Delhi on the 6th. Reaching shimla on the 27th..
How long will the bus take from kaza to Shimla ? Any suggestions on how to make use of the time available ? Sorry, seems I am late and you should be off to the trip already. Yes, you should get the permit in Peo only. Kaza to Peo first will take about 9 Hrs in bus and same is true for Peo to Shimla. the details which you mentioned in this blog are very helpful. Unfortunately, i am plannig the trip in End of Dec month-2016. So, Can you pls suggest/advise me which are the best places to visit like this spiti valley starts from Dec 23rd 2016 to Jan 2nd 2017. Start point: Shimla , end point: Dharmashala. And the Travel agent details too that who can provide CAB, Hotels & all 3 meal. Pls note this is my 1st trip to Himachal pradesh. Appreciate your support in this regards and Happy & Safe Diwali..
First of all to visit Spiti valley in the month of December is not a good idea. As Dheeraj rightly said that climate will be harsh during that time. All the places that I have visited in Spiti I found personally Losar is must see place if you are travelling in Spiti valley. I was there in the month of October this year temperature around -7 to -8 celsius. This is was my first trip to Himachal with my family. We have stayed there for more than two weeks without any health issue, even I was travelling with my six years old son. Thanks for the suggestions Ayan, yeah, those places are beautiful. 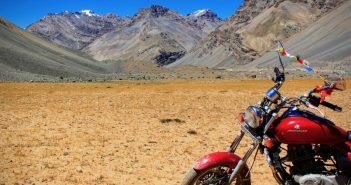 Is a royal enfield bike ride to Spiti Valley in Winter season (December-January) recommended from the Shimla side? I went to Chandratal Lake from Manali side this July, but could not finish the trip to Spiti. So I was planning to do it this winter. Hi Dheeraj, Your website is very helpful for someone planning to travel to these places for the first time. We are a couple planning to visit Manali in October end. I am very disappointed to see this article that Manali – Kunzum pass would be closed after Mid October. Can you please clarify if the entire route would be closed or just after Rohtang pass ? Sarath, the route will be closed after Rohtang Pass. Manali – Leh Highway has already been decalred officially closed and same risk applies to the highway beyond Rohtang Pass into Spiti Valley. Thanks Dheeraj, Can you please tell me about the activities availability at Rohtang pass in October end. If we are unable to do any activities in Solang valley or Rohtang pass, it would be huge disappointment for us after reaching Manali. Sarath, there will be few activities going on in Solang Valley but other activities are banned in Rohtang Pass now. Only solang will be having the activities and no snow will be present during that time for snow activities. will it be good snowy in nov mid for honeymoon? Juhi, Spiti valley is a harsh place not something to plan for a honeymoon. In winters, it will be much more harsher. Is diesel car a good option at that moment? I’ll be travelling by mahindra scorpio in December..
Prateek, in case you do have an option of petrol car, it shall be fine to take diesel car. Locals will help you out with jugaads in case you face any issues. I think there is a petrol pump in Powari before the climb to Peo. That was the last one i saw on the highway till Kaza. No need to go to peo just for fuel. Please correct me if i am wrong. Yes there is petrol pump at Powari but now it is closed and they don’t sell fuel anymore over it. They have installed one new one just before entering Tapri, that is the last pump.